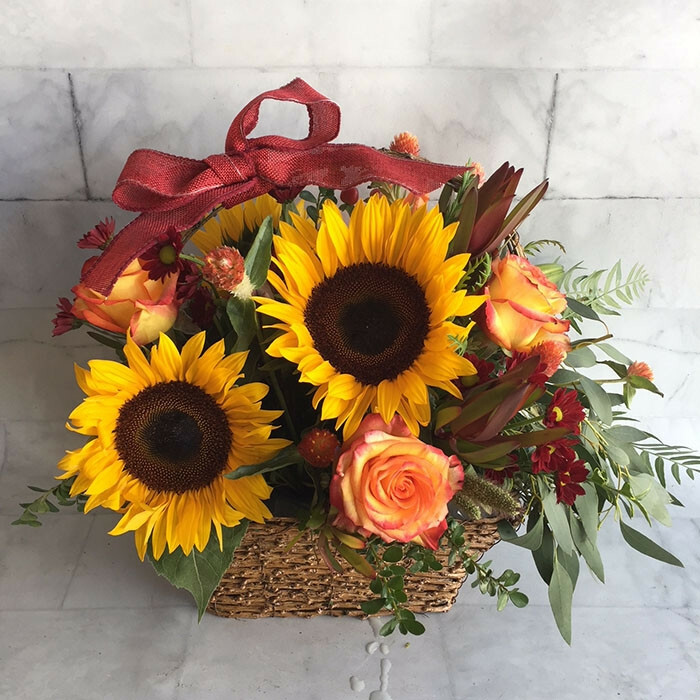 Floral arrangement in basket with sunflowers, roses, hanging amaranth. We are committed to providing you with only the freshest and highest quality flowers possible. Consequently, due to the seasonal nature of flowers or their availability, the flowers provided may not match the pictures shown on the website. If we cannot provide the same flowers, you have our guarantee that the arrangement or bouquet will be designed in he same style and that appropriate alternatives will be selected.